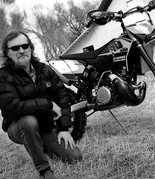 Jeff Slavens & the team have put together an online resource for informational and instructional videos, riding advice, and good old entertainment of dirt bike and motocross videos. We’ve developed these videos for you to watch at home or anywhere online at your convenience. Whether you are debating on buying a product or if you have already purchased one and you are looking for helpful hints and tips these dirt bike videos are for you. We take the time to develop these so that you have can them anywhere at any time. You can gain expert advice without having to call the shop or email in. If you are in the middle of a project or enhancement to your bike, our motocross videos are here to help you and walk you through the best process of installation. Jeff and the team will take you step by step through the process with thorough explanations and reasoning behind each suggested step. 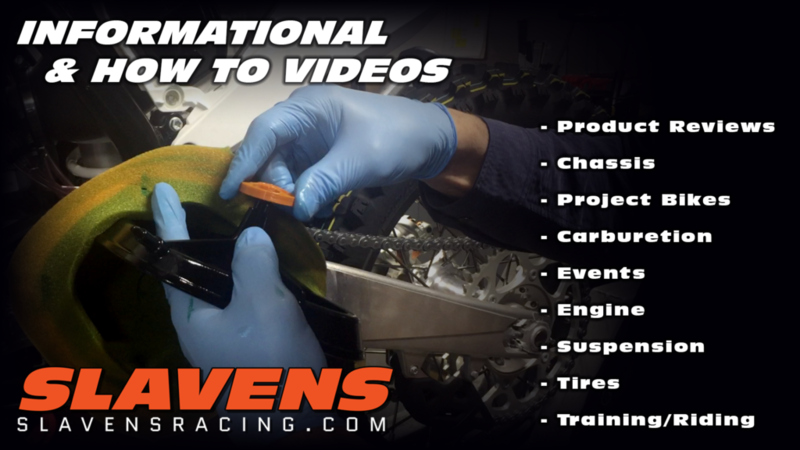 If you finish watching one of the Slavens Racing videos and you still have questions, feel free to reach out to our shop at 719-475-2624. We are always here to help or offer you our advice and suggestions. 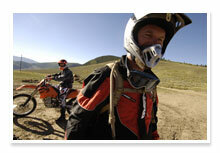 Check back often, we add new dirt bike videos all the time.